Is taking a hot shower a health risk for my family? In recent years Southern California water departments have replaced chlorine with chloramine (chlorine + ammonia). These chemicals are added to the water to keep us safe from waterborne pathogens. Showering in unconditioned water poses as many concerns as actually drinking it. That’s because when you take a hot shower your skin acts like a sponge, and soaks up chemicals in the water. Municipally treated water doesn’t remove 100 percent of all contaminants though. It leaves byproducts in your water, such as trihalomethanes (THMs) and iodotrihalomethanes (iodo-THMs). Chlorine / chloramine also bonds to skin and hair and can lead to dryness, itching, flaking, hair discoloration and can exacerbate conditions such as eczema. What’s even more of a concern is chloroform. Stepping into a hot shower exposes you to chloroform vapors. So you’re not only bathing in it, you’re breathing it deep into your lungs as well. Would a shower filter solve the problem? There is NO certified showerhead filter to remove chlorine or chloramine. Shower filters are small carbon filters with very little water contact time. Carbon becomes exhausted quickly in warm water and therefore the life of a shower filter is only a couple months at the most. The best protection for you and your family is to remove the chlorine / chloramine from your water at the point-of-entry before it gets into your home plumbing. Our whole house system is used to remove odors, chlorine or chloramine and other contaminants from the water before it gets into the air or on your skin. The result is cleaner, safer water for your shower. Why not purchase bottled water? Not as healthy as you think! Recent headlines have shown mounting evidence that suggests your bottled water contains contaminants, too! The chemicals in plastic bottles can be leached into the water. They’re called phthalates, and they’re notorious for disrupting testosterone and other hormones. Suddenly bottled water doesn’t seem so healthy. If you care about our environment, bottled water is definitely a bad idea. While most people have good intentions about recycling, the fact is that only about 23 percent of those water bottles ever get recycled. 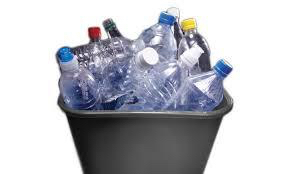 An estimated 2 million tons of plastic water bottles end up in landfills each year. Our drinking water systems produce water efficiently and economically. Pure water, available to you at any time, is right at your kitchen sink. How can I tell if my water is impure? You may have a cause for concern if there’s a detectable odor to your water, if it contains visible particles or if it leaves a metallic or other “off” taste in your mouth. How does treated water eliminate dry skin and dull hair? Water that isn’t softened and conditioned can leave soap and shampoo residue behind, causing dry skin and hair problems. With softened water you’ll need less soap, shampoo and detergents for everything from bathing to household cleaning. What effect does hard water have on plumbing? Minerals and chemical compounds in your water can damage your pipes, restrict water flow and shorten the life of major appliances. 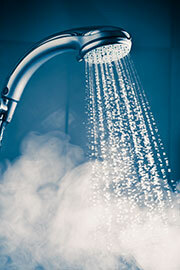 Hard water can also cause your water heater to use more energy due to the buildup of scale. Water conditioners cut down on scale and corrosion, saving you money. Our water treatment systems offer solutions to every home water concern.